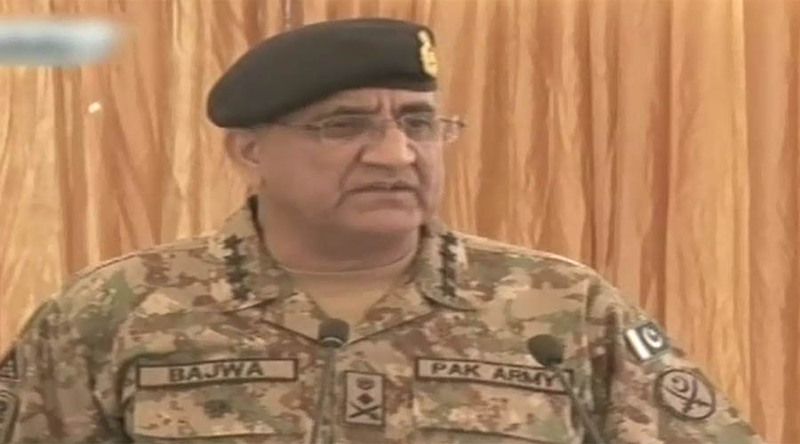 PARACHINAR (92 News) – Chief of Army Staff (COAS) General Qamar Javed Bajwa visited Parachinar on Sunday. The army chief was given a briefing over yesterday’s blast in vegetable market that claimed the lives of at least 24 people and injured 54 others. General Bajwa visited the injured and also met the tribal leaders. Meanwhile, a protest was held outside Peshawar press club against the Parachinar blast. The protesters chanted slogans against terrorism.